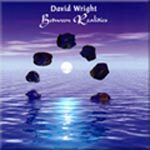 Over the years, David Wright has written articles for publication and has written poems and text for his CD releases. This page includes those writings plus additional text provided by other authors. My music is about creating moods – weaving sounds, textures, sequences and rhythms to create a sonic tapestry, a seamless flowing journey that asks but one question of the listener – to connect to the emotional content that lies within. This is what people recognize as my “style”, and whether creating long expansive pieces like the music on “Momentum”, or shorter thematic composition, my style remains the same. This is my 18th solo album and the “momentum” to keep searching for new emotional soundscapes remains as fresh today as when I first started making music 25 years ago. Music is my passion, and for me, Electronic Music is both deeply emotional and sensual. The music on “Momentum” came out of a 2007 concert in Philadelphia, USA, where I intended to premier music from a new studio album “Dreams and Distant Moonlight”. But things didn’t go according to plan and the day before the concert I changed the set in favour of a mainly improvised one. The decision was an instinctive artistic reaction to the wonderful surroundings, people and venue that prompted a desire to experiment and do something completely different for the occasion. It was also helped somewhat by having access to a powerful Alesis Andromeda A6 synth, (courtesy of Radio host and concert organizer Chuck van Zyl) which helped take my rehearsals into new musical territory. And so, quite unintentionally, ‘Momentum’ was conceived and presented in my first Stateside appearance. The Gatherings Series Concert was a hugely enjoyable affair for all concerned and more than anything, it was great fun. I felt inspired by a beautiful, intimate venue and an appreciative audience who were really into the music. Such combinations raise the adrenalin levels and result in an energy and spontaneous creativity that is rarely achieved in the studio. Such is the beauty of live performing. Back home at my studio I listened to the recording of the concert with a mixture of delight and despair. The music was relaxed and free flowing, combining a warmth and feel that I really liked, but there were technical issues, including the Andromeda A6 inexplicably de-tuning itself midway through the second half of the set, that meant a “live” album would not be possible. So I decided instead to treat the music as a studio album, but only rerecording those parts that required rerecording, thus keeping as much of the live music as possible and retaining the key structure, development and mood of the concert performance. In fact, the first half of “Momentum” required very little editing beyond mixing and a few tweaks. It was the second half that required attention, particularly the title tracks, and these have been substantially reworked. I hope you enjoy the end result because “Momentum” retains that special spirit and mood of a great night in September that will always have special memories for me. I would like to extend my warmest thanks to Chuck Van Zyl and his concert crew for the amazing work they did in preparation for my Gatherings Concert appearance in Philadelphia on 29th September 2007. And to Chuck and Jeff, a special “Thank You” for looking after us during our stay. I would also like to thank the wonderful audience on the night for their warmth and enthusiasm during and after the performance. More than anyone else, this music is dedicated to you. “Music is the language of emotion”. “Music is the spirit that soothes the restless soul. Stars lighting a million worlds. Live at the London Planetarium. Music is an echo of the soul. A mirror that reflects our deepest emotions. Those emotions are born out of life and its experiences. They make us what we are. Through dreams and imagination we strive to attain a better reality by forging new frontiers, or by seeking refuge in our perception of the past. Music fires those dreams and saddens the heart. It both answers and asks the question. Music shows us who we are. When you ask the question, it will always answer, “You”. When “Moments In Time” was originally released in 1994, many people saw it as a concept album, which was never its intention. It doesn’t contain tribal chanting or ethnic instrumentation, nor does it claim to be a modern representation of Native American Indian music. 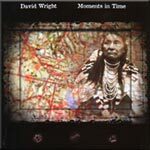 “Moments In Time” was, and still is, a deeply personal album in which I gave my own emotional musical interpretation to the mythology and simple beauty of a people living in harmony with their world and of certain historical events surrounding this proud and wonderful people, from an age and time now long gone. In the beginning of time, Napi created the world and everything in it. From East to West he travelled. As he did so, he spread mud before him to make the earth. He journeyed from North to South and created birds, animals and people. He made the mountains so that the eagle might build its nest there, and the rivers so that fish might swim. He covered the prairie with grass so that the buffalo might feed and made the forest grow to shelter the deer, the wolf and the bear. When he had finished, he left his spirit in all things. Belief in a ‘Great Spirit’ or ‘Supreme Being’ and ‘Sacred Powers’, without which nothing could exist, formed the basis of the religion of the North American Indians. The Blackfeet called this Spirit force “Napi” (Old Man). To the Crow Indian he was the “That Man above his eyes yellow” identified with the sun. The Cheyenne believed that all life came from “The Great Mysterious One”. To the Sioux, it was “Great Medicine”. The principle was simple. All existence could be traced back to a single source from which evolved powerful spiritual forces to govern and control the Indians world. These forces dwelled in the land, skies and water, in the forces of the storm and blizzard, the crashing of the waterfall and rapids, in the rustle of the forest leaves and the breath of the summer wind. The Sacred Powers were beyond understanding, but could be harnessed to confer health and well being on the community. All things were given a soul or spirit under the guardianship of the Sacred Powers. These Sacred Powers were divided roughly into two categories. Sky beings (sun, sky, moon, stars, ghosts and thunder), and Earth beings (wind, water, fire, earth and rock). Each Sacred Power has different animals and plants under its keeping. It also had a helper, an animal spirit intermediary which spoke to the Indian in dreams. The ‘Medicine Man’ or ‘Shaman’ were called upon to interpret these dreams and occupied honoured positions in the tribe. Eveningstar was represented by its animal spokesman the buffalo, which was of supreme importance to the Indians, providing food, clothing and shelter. Before the autumn buffalo hunt, special dances were performed to ask forgiveness from the the spirits of the animals who were to be killed. The Indian always thanked the spirit of the animal whose life he had to take. The favourite method of hunting was to stampede the buffalo over a high cliff, known as a “Piskun” or “buffalo jump”. The spokesman for thunder was the eagle, a sacred bird who appeared in dreams as the ‘Thunderbird’, flashing his eyes and beating his wings to make thunder and lightning. He was a symbol of independence, one who lived in the sky yet chose to stay on earth. The eagle was the patron of warriors. War bonnets were made of eagle tail and wing feathers, which were powerful medicine. Young braves wore an eagle feather or talon before combat, symbolising the keen eyesight of the bird and its swiftness of attack. ‘Ghost Dancing’ represents perhaps more than anything the downfall and tragic demise of the plains Indians. In Nevada, 1889, during an eclipse of the sun, a young Paiute medicine man named Wovoka fell into a trance. On awakening, he said that he had visited the spirit world and met many sky beings who had promised great good fortune. All dead Indians would be reborn. Those still living would live forever. The prairie would once again resound the the buffalo stampede, and the white man would be banished from the land forever. For this to happen, all tribes must refrain from war and cruelty, stealing and dishonour. They were also to perform a dance that Wovoka had learned in the spirit world so that they could all “die” for a short while to see a vision of promised glory. The new “Ghost Religion”, as it was called by the white administrators, swept across the plains like clouds before the wind. To the Indians, defeated and desperate, subjected to hunger, humiliation and disease by the the white mans insatiable greed for land, Wovoka’s new belief came as a revelation, bringing new hope. The dance was brought to the Sioux chief Tatanka Lyolake (Sitting Bull) by one of his own medicine men, Kicking Bear. But it was the medicine man, not Sitting Bull himself, who eventually caused disaster by convincing the Indians that the “Ghost Shirt” worn in the dance would give immunity to the white mans bullets. News of this development caused great alarm amongst the US military and, as well as leading to the massacre at Wounded Knee, eventually lead to the imprisonment and ultimate death of Sitting Bull. The retreat of the Nez Perce was yet another tragic event in the annals of the plains Indians. The Nez Perce, so called by the French fur trappers because of their pierced noses, were a nomadic tribe living by the Snake River in Idaho. They had always been friendly with the US government, with whom they had signed a treaty. Their leader, Chief Joseph, had been baptised a Christian. However, the US government coveted their ancestral lands and negotiated the tribes removal to a reservation. When gold was discovered in the Salmon River, attempts were made to remove the Indians again, and tension rose. Matters were made worse as increasing numbers of settlers ignored reservation boundaries and began to encroach on the Indians land. The Chief returned one day from a hunting trip to find his camp at Lapwai in uproar because hot headed braves had killed several white settlers including women and children. To escape retaliation, Chief Joseph combined forces with fellow chiefs Looking Glass and White Bird, and set out to lead the Nez Perce to Canada, 1500 miles away over the hazardous Bitteroot Mountains. They were pursued by the US cavalry under the command of General Oliver Howard. The Nez Perce headed east hoping to get help from other Indians, but after a series of successful battles, their luck ran out at Canyon Creek where many were massacred. By this time they were starving and exhausted and Chief Looking Glass was dead. They finally surrendered to the US forces in October 1877, only 40 miles from the sanctuary of the Canadian boarder. Chief Joseph was considered to have conducted the retreat with such tactical skill that he was seen as an Indian Napoleon. The plight of his people aroused much sympathy in the east, particularly when they heard of his words upon surrendering. “It is cold and we have no blankets. The little children are freezing to death. My people have run away to the hills, they have no food. No one knows where they are. I want time to look for my children. Maybe I shall find them amongst the dead. Hear me my chiefs, I am tired and my heart is sick and sad. From where the sun now stands, I will fight no more, forever”. If you can see the road ahead, it isn’t worth the journey. It is said that music is the shorthand of emotion and a means of expressing those inner feelings that are not expressible in words. If that is so, then it is also a representation of our own experience, our thoughts, our wisdom and our folly. 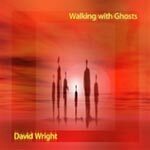 The music on Walking with Ghosts and indeed the overall concept, echoes many things, including my own musical influences and the input of the excellent musicians who contributed to the album. But it is also influenced profoundly by global events, in particular the dreadful events of 9/11. At the time Walking with Ghosts was released and indeed for several years afterwards, it seemed wholly inappropriate to make that fact known and so no mention was made in the liner notes. Now, years later, while the dread of that awful deed can never be diminished, I do feel that I can now say that some of the music from Walking with Ghosts was written as a direct emotional response to that horrific event. Indeed, the title came to me while watching the images of the firefighters in the smoke at ground zero. Other parts of the album were conceived and written at various locations between 1998 and 2002. Indeed, Walking with Ghosts seemed to live with me for a very long time before I was finally able to complete the project in July 2002. Consequently, it became the most personal of albums for me, an album which at one point seemed to have a life of its own, shaping itself into an entity comprised of a collection of very individual songs. For a while it seemed as though that very individuality would prevent the music becoming a coherent album. But in the end, it was that very diversity that made the concept work. Ultimately though, Walking with Ghosts is a collection of songs, songs that I hope are thought provoking and to which you the listener will attach his or her own emotional interpretation. 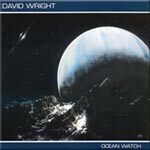 (C) David Wright 2002. Additional text added for this web page 2005. I wrote this article in 1995 for the now defunct EM magazine “Zenith”. Not sure if some of my “thoughts” have as much validity now as I thought they did then, but maybe some of the historical points are of interest. Music or Technical excellence? A retrospective view of of EM. When listening to music today, many people appear to be more critical of the technical quality than of the music itself, perhaps too much so. It’s understandable that if we are to spend our hard earned cash on a product then we have the right to expect good quality. Surely though, that quality should stem from the music itself? Yes, technology may enhance the sound and the listening pleasure, but music mustn’t become the slave of technical excellence. This is not a criticism of EM artists. As a musician myself I want to attain the best sound quality and technical excellence possible with the equipment at my disposal. What worries me is how the music is perceived. We have reached the stage when we wont buy music unless its in digital format. Perhaps this is why we cannot be bothered to check out older recordings by the pioneers, to investigate the “roots” of EM, the expectation being ‘a technically inferior product’. Indeed, with so much EM now produced, utilising the vast array of technology available, the discerning listener has a lot to keep up with. So again, what chance the older recordings. Modern EM is around 35 years old now, but how many people are aware that EM was first developed over 100 years ago? Thaddeus Cahill invented a keyboard instrument called a “Telharmonium” in 1895. It was exhibited and played in Massachusetts and New York. This was a massive synthesiser with rotating tone generators that unfortunately had one or two drawbacks – not least the fact that it weighed about 200 tons (and the modern day Roland, Yamaha and Kurzweil stage piano users think they have problems…?). During the 1920’s and 30’s, the Russian Leon Theremin invented the “Theremin”. I wonder how many of us heard it without realizing in those wonderful old 1950’s Sci-fi films like ‘The Forbidden Planet’? The Theremin was an antenna instrument played with hands in the air, based on the heterodyne tone generator. Another Russian, Joseph Schillinger, composed the ‘First Airphonic Suite’ for the Cleveland Symphony Orchestra, in which Leon Theremin took the lead solo on his Theremin. There were others, amongst them the German Jorg Mager, who in 1923 invented the “Sphaerophon”; in 1928 Peter Lertes, an electrical engineer in Leipzig and Bruno Helberger a well known pianist of his time collaboratively developed a vacuum tube instrument called The Hellertion, which had oscillators with feedback and continuous linear controllers. In 1929 the Frenchman Maurice Martenot invented the “Ondes Martenot”. And in 1930 F. Trautwein invented the “Trautonium”, a neon-tube sawtooth tone generator with resonance filters. Development continued during the 30’s and 40’s with innovations like the “Givelet-Coupleux organ”, invented by J. Givelet and E. Coupleaux. This was an automated additive synthesiser with oscillators controlled by paper tape. There were others, until in 1951 the first EM studios opened in Cologne and New York. Perhaps, as with any genre, it is only the connoisseur who will venture into uncharted territory, into the past to seek out its origins. Most of us are content to plod our own narrow path, sticking to our set likes and dislikes, at best being over cautious of anything different. Human nature perhaps? Fear of the unknown? And of course, we’re becoming more and more accustomed to our technically superior product. It has often been difficult enough obtaining older recordings by the established modern, EM artists let alone the early pioneers. So how many of us would spend our hard earned money on old recordings, however innovative they may be, when compared to what is available today, those old recordings are perceived as a technically inferior product. I suppose what I’m trying to say is, that music is about the heart and soul of the composer, the artist. What we should be listening to is the heartbeat of the music, the message the artist is trying to get across to the listener. It may be melody, rhythm or experimentation – but we should not get into the habit of becoming hung up on how good the music sounds technically, and there’s a real danger of that with modern computer technology. The EM genre is still trying to find serious acceptance in the industry. Only when it has found its rightful place and gained a wider audience will interest in its history increase. Until then we must take care that the future of EM isn’t jeopardised by its technical expectations. To ignore the music of our past and of our future past because of this may be to ultimately deny us a future at all. In the power and splendor of the universe inspiration waits for the millions to come. These are the liner notes I wrote for TranceAD. The album was a gamble for AD Music because we were trying to reach a new audience and also trying to bridge the gap between conventional EM and the Dance/Trance markets. AD Music Ltd. (ADML) was established in 1995, the merging of my own AD Music and Robert Fox’s FX Music. It has grown and matured into a respected Independent Record label that has survived the changes in the industry by following its own path, not current trends! The musical genre in which ADML operates is diverse, so a starting point would be to quote names like Kraftwerk, Tangerine Dream, Vangelis and Jean Michel Jarre. Its objective was to bring together and present to the public the recorded works of a diverse group of musicians whose music had one thing in common – it could not easily be categorized. The music has been described as Ambient, New Age, Electronic, Experimental, Soundtrack, World Music, Contemporary Instrumental and even Easy Listening. In an effort to define its own niche, ADML added “Evolutionary Ambient” to the list in 1997. But the oldest and universally recognizable description remains “Electronic Music”. However, it is often the case that none of these terms adequately describe or define what’s on offer. All they do in fact, is to add to a sense of confusion. It is also fair to say that whatever the term used, the music has never been “fashionable” and with a few noteworthy exceptions has generally been ignored by mainstream radio and the music press. In 1996 ADML caught the attention of Notting Hill Music Publishing Ltd. and a deal was signed. Music from the ADML catalogue has featured on major Sony, Polygram and ZYX compilations across Europe, and been used by Center Parcs, The Gap, Wax Lyrical, London Planetarium, Sky Sport, Ifor Williams, British Airways, European Ferries and more! Over the years ADML has built up a roster of 12 artists with 50 album releases, many to critical acclaim. It remains justifiably proud of the quality and integrity of all the music produced by all of its artists and those qualities are clearly evident on TranceAD. In recent years Electronic Music has fragmented into even more pigeonholes and subcultures, many of which have gained recognition and acceptance with a younger audience, resulting in commercial success. Many of the elements that make up the music in the popular Dance, Trance, Ambient and Chill-Out genres are variations on themes, styles and ideas taken from the past 40 years of Electronic Music. There’s nothing wrong with that of course, change is inevitable and the music must evolve. Popular Electronic Music has, understandably, a modern edge to it and this is as much to do with advances in music technology than anything else. The technical process of music creation is undeniably easier now than at any time in the past and if you compare modern EM with what has gone before, the difference is the range of sounds, the sonic quality and the rhythmic complexity on offer, not the style or content. Realizing this, ADML came up with the slogan “Redefining the Boundaries” for its advertising in 2001. After all, the music on the ADML catalogue didn’t fit easily into any category, including the more modern Ambient, Trance & Chill Out, so there was little point in trying to pigeonhole it anymore. But neither was ADML embedded in the past, and clearly there was enough cross over potential to exploit the music in say, the Trance and Chill Out genres. ADML also reasoned that if only because of its longevity, it was inevitable that artists involved in these genres would eventually “discover” the remix potential of the ADML catalogue. 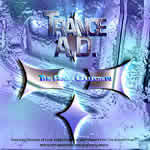 TranceAD is, therefore, a worthy and exciting addition to ADML’s list of releases. It provides a fascinating variation on the music for existing fans and introduces the musical worlds ADML has to offer to a brand new audience. It also proves, if proof were needed, just how closely linked these genres are; Dance, Trance, Ambient, Chill-Out, Electronic, New Age, etc. ; they are all variations on a common theme. Music is the shorthand of emotion and a means of giving form to our inner feelings. So in the final analysis, what really matters is whether or not You, the listener, is moved by it. Does TranceAD “Redefine the Boundaries” ? I believe it does because the music stays true to itself despite being reworked for a new audience. It retains the integrity of its original and is still able to communicate emotion and stir the memory. It also transcends the barriers, categories and pigeonholes imposed on it by the music industry and that is the secret of good music. So, you’ve made the decision! You’ve finished recording your album and it’s the “best” – it deserves to be heard by the world and you’re deserving of the adulation afforded to the creation of such a masterpiece! Of course, you know in your own mind that it won’t be easy to become a star. After all, everyone says that the music business is difficult’. But hey, you’ve got what it takes, you’ve got talent, and this really is a great album – all your friends and family agree – so what can possibly stop you? What indeed…………? Don’t be fooled by inane rubbish like Pop Idol or X-factor. Not only do these sort of programs give a totally false impression of the reality of the music industry, but they totally undermine the integrity of it! And just for the record, I don’t dispute the obvious talent of some of the participants, but the ends do not justify the means! It is indicative of just how low we have sunk as a society that we are happy to watch and laugh at ‘hopefuls’ who clearly have no talent at all, make embarrassing fools of themselves because they really think they do have the talent. The programs are designed to maximize TV ratings and to manufacture a “Pop Star” who’ll be long forgotten in 10 years time. Of course, they’ll say that isn’t so, but then, they would, wouldn’t they!? We live in an “Instant Fame” society. Celebs and their lifestyles are thrust in our faces 24/7 and far too many people, particularly but not exclusively the young, think fame can be achieved. They are fed the belief that it’s possible to give up the day job and become a star. In reality, it’s virtually impossible. For a greater insight into the realities of the Pop world, check out the Simon Cowel book “I don’t mean to be rude”. It’s about “The Journey” (much like life) – the journey of self discovery that starts when you realize that being a musician is what you want to do, continues and evolves as you make music and friends along the road, experiencing the highs and the lows and culminates in the realization that the journey doesn’t have an end because you’re always seeking to do something new, always forging new ideas – seeking to write ‘The perfect song’ or ‘The perfect album’. But a word of warning, if you’re fortunate enough to find success, the pressures and the demands will become greater, they’ll not get less! You can’t do it on a “part time” basis and expect to succeed beyond a bit of fun at amateur level (not that there’s anything at all wrong with that). So, if you really want to ‘succeed’, the very thing that you have to accept is…….. that you probably wont’! And that isn’t as crazy as it sounds! You see, the most important thing in music is simply that you love doing it. It’s a way of life that’s in your blood, in your soul, and it takes precedence over everything else. And as mentioned earlier, it’s about the journey. Being involved in music is about being in it for the long haul, not the short term – you don’t even consider the short term. Ask most musicians and they’ll tell you the process is a painful one. When I hear young musicians say they’ve ‘given up everything to be in music’, my reply is, that they have no idea what “everything” is! Being a musician requires many things, many attributes. Selfishness we’ve already mentioned. Stubbornness is a key factor to – you just have to keep going, then there’s dedication, passion and belief. An acceptance that there will be a lot of hard times. You must be prepared to give everything and more, and even then, even with all those things, if you’re not ‘in the right place at the right time’, success can still pass you by. So, lets go back to the beginning – If you still want to be a musician, a recording artist, then I’ll give some hints and advice on demos in part 2. Whatever genre of music you’re in, you need to define your definition of success. If your definition is ‘being a rich and famous superstar’, then, well ‘good luck’……….. but if your definition is ‘being a creative artist doing what you want to do in life by sharing your music with those who will listen’, then you should succeed. And if you’ve got the bottle to stick to your own sound and style, your own beliefs of how your music should sound, then you’ve even more chance of success in the long term. But be warned – flying in the face of convention, of what is current, is always difficult. But trends fade and die – original talent and music does not! If you’ve recorded an album yourself then get independent feedback, both musical and technical. Friends and family will always say your music is “great” (and hey, that’s fine, you need that support). But, the person who tells you everything you do is great may be good for your ego, but they’re of no practical use at all! The harsh reality is that you need good constructive criticism from independent sources who know what they’re talking about. Okay, easier said than done, but there are publications like “Sound on Sound”, for example, who provide demo reviews. Another tip is seek out your local recording studio and pay for a studio engineers time (or better still the studio owner if you can), just to listen to your recording. Pick their brains and ask their advice on all aspects of your recording. I did this myself and it was invaluable. You’ve got to make sure you can relate to the studio engineer and that they can relate to what you’re doing. But at the end of the day, you’re paying them just to listen and to give you the benefit of their experience. Believe me, many studios will be glad to do this when they realize you’re serious about accepting constructive criticism and you’re willing to pay the going studio rate for it. But I reiterate, ensure you find someone who has experience and some empathy with the music you’re doing. The reason that this is so important is because often, when starting out doing a first album you wont have the knowledge or equipment to make it sound anything more than a demo. Unfortunately, so many aspiring musicians get so close to their “creation” that they fail to hear that the music isn’t as good as they think it is, particularly on the technical side! It’s always good to remember that there are probably tens of thousands of people around the world (maybe millions, who knows?!) doing the same thing you are. There’s no shortage of home studios turning out music and no shortage of organizations, particularly on the Internet, telling you how to “Make it Big”. So, the trick is to stand out as being ‘different from the rest’ while achieving a standard that is ‘professional’. How do I define professional? Where someone has taken the time and effort to take the recording beyond a home demo. Okay, I know that may seem a little opaque, but the truth is that it’s difficult to define, you just “know”. Music is very subjective – we all hear different things in it, indeed, we all need different things from music to make it acceptable to us, whether as a composer or a listener. There are great musicians who are technically amazing playing various instruments but record music that is devoid of soul or passion and restricted by self imposed musical constraints. Conversely there are musicians with little or no training who can blow your mind with fabulous and inventive music because they are not constrained by formal musical training. It’s also worth pointing out that being a competent musician doesn’t make for a competent composer of music! And even a competent composer can’t necessarily imbue the composition with that special ingredient that make people sit up and take notice. It’s also true to say that a good musician/composer is not necessarily a good studio engineer! This is a fact that in my opinion, is often overlooked. Too many composers think that because they have access to an all singing, all dancing workstation and/or computer, they can turn out a great recording. More often than not, nothing is further from the truth. Composing is a talent, and engineering an album is another, very different talent. Mastering an album is yet another, very different talent. I’m not suggesting an individual cannot do all these things well. Of course they can, with years of experience, and even then, with input from other sources. Too many times I’ve sat listening to a demo where the composer is convinced that the music and the recording is “great” when in fact it isn’t. The recording and use of sounds is cheesy and naff, but the composer can’t hear it because they haven’t “stepped outside the box”, as I would say. They haven’t stood back from the music and really listened to the recording and compared like for like against professional recordings of the genre. It’s a hard lesson to learn, to be self critical of your own creations and sometimes to realize that your creation is actually far from perfect and that sometimes, the best place for the creation is in the bin and that you need to start again on another idea. But this is probably one of the most important lessons to be learned on the musical journey. It also important to consider this one unpalatable fact. Your album may be great. It may have nice songs, be well recorded etc. etc. but it simply may not be good enough to be anything more than an inde album that sells a few hundred copies. That’s Life! It’s a simple fact that record companies will listen to the first 20 seconds of a demo and then switch it off and consign the demo to the bin if it doesn’t make an instant impression. That’s not just A/R men either. Some years ago, a major label had so many demos that its A/R department couldn’t handle them all so it gave piles of demos to everyone, even the cleaners to sift through. Everyone ended up doing the same thing – if the CD didn’t make an instant impression, then it was “on to the next”. Sure, that may seem unfair, but if you’re the record label exec trawling thru thousands of demos, how would you do it? Again, I run a small inde label, so I know what it’s like. I’m not suggesting you record your demo to send to a big label. I’m relating the story to hammer home the point that with so many people making music, all thinking theirs is “the best album ever”, that you have to be realistic – you probably have more chance of winning the UK lottery and the Euro lottery in the same week than getting a record deal! But that shouldn’t stop you!! Your demo should be well recorded and recorded well enough that you could press it and sell it yourself. In this day and age, that’s probably the best way forward. Sure, still send copy to record labels, but also remember that record labels will be looking for a lot, lot more than just the music. They’ll be looking for experience, an image, a malleable artist and lots more besides for today’s music industry. Your music should have an identity that stands out from the rest and it should have an emotional presence. Achieving this is very, very difficult and in truth, it cannot be taught or learned. I truly believe music either has that magic ingredient to make the listeners hair stand on end, to perk people interest, or it doesn’t. And that comes from the musician – not the production, the engineering, the mastering the record label or anywhere else – it is the defining essence of the artist. So, what am I trying to tell you here? Well, to summarize, embark on the road of being a musician with passion and belief but accept that the chance of major success thru a record deal is virtually impossible. Understand that you must listen with open ears to what you do and learn to be critical of your music. Make constructive criticism your closest ally through people whose opinion you value and trust. And however hard you think it’s going to be to have any measure of success, realize that it will be even harder!